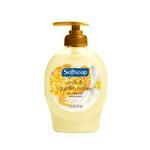 I have been using this hand soap for over two years and I absolutely love it! It is even better that I can reuse the same pump and buy just the refill! Lasts a long time and well worth the money spent on it! It doesn't dry our your hands, and has a nice fresh smell, not a super perfumey or chemical smell. I like that it is all natural and they don't test on animals. And unlike other natural soaps, this one is not ridiculous expensive. And you can find it at a large variety or stores both around town or online. I highly recommend the Method hand washes!! 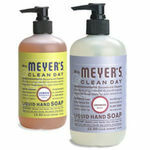 We have used Method hand soaps in our home on several occasions. 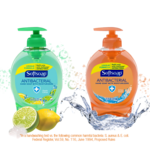 Many times we have found them on a decent sale and have chosen to purchase it compared so some of the less natural/eco-friendly counterparts.The smells are great and the colors are fun, but two things that I haven't been thrilled about with these handsoaps are that some fragrances contain artificial colors and also SLS. While this brand is more naturalthan some others, it is not my first choice. If it's on sale at the time, it wouldn't be a terrible purchase, but I would highly reccomend you read the ingredient for yourself. If more natrual ingredients aren't a concern for you, I would recoommend this soap. It cleans well, is a decent price, and smell pretty. Good but a bit expensive. This is a very good hand soap. It is easily designed for anyone to use, even at other people's houses. So it is great for guests and the homeowner. However, I honestly believe you can find a hand soap for a better price. Overall though, this is a good product and no complaints. It even smells fresh but not overwhelming. The perfect scent without drying out your hands. Effectiveness It's very effective at cleansing your hands, leaving them feeling fresh, and invigorating them at the same time. It's great for easy clean up, quick washes, or to really scrub dirty hands. I think this is a great product to put in bathrooms or kitchens. Scent The scent is one of my favorite things about this hand soap. It smells so refreshing, and even feels refreshing. I like it because it smells good but doesn't overpower you at all. Overall the scent is so light that people probably won't notice, but gives you a good experience while washing your hands. This is one of my favorite hand soaps! I have to admit that the first time I bought it, it was all about the aesthetics: I loved the shape of the bottle, for some reason. It just looked like it would be attractive on the sink (and it was). But when I actually used it, I found that it really was a lovely soap! It cleans so well, and I love that it is made with a lot of natural ingredients. That is really important to me since I am a mom and I like to try and keep our household products as natural as I can, within a reasonable price range. This soap costs a little bit more than some others, but I feel like it's worth it for the quality. It lasts a pretty long time, too, and that's with a LOT of hand washing in this household! I would definitely recommend this hand soap. Effectiveness I like that you don't have to use a ton of this soap and that it rinses off easily. It left my hands feeling nice and clean, as well as moisturized (my skin gets dry very easily). Scent The scent of this soap is so nice and light! A nice looking hand soap. First of all, I just love the packaging of this great hand soap by Method. I like keeping my bathroom well organized and looking sleek, and this bottle fits right in with my design with its modern looking clear dispenser. It is very stylish looking so I have no need to hide it away in a soap dispenser. Aside from the cute design, it really is a good hand wash and better for your hands than all of those harmful anti-bacterial ones that you see everywhere. You will really feel the difference in the way that it lathers up on your hands and rinses away, it feels very light and cleansing. The scent is also very pleasant and light, it lingers on your hands after washing which I love. I have tried it out as a facial wash but it did not feel well, as it is not the most moisturizing of soaps. While it is a little bit pricier than other hand soaps, I find that the extra price is so worth it. I love Method products and their hand soaps are no exception. The Sweet Water scent is no exception. It is gentle enough that it doesn't irritate my extremely sensitive skin and tough enough to get mud and pine sap off of my kids hands when they have been tree climbing. With two kids and pets I wash my hands a LOT. One of my daughter's is potty training right now so I honestly think I wash my hands every thirty minutes some days! Even with all of that the excema that I sometimes get on my hands is not irritated by the Sweet Water soap. I do feel like some days it dries my skin out a bit by the end of the day, but to be fair when I'm not washing my hands I'm usually cleaning something so that could be it too. My husband often complains about "girly" scented soaps and he has never complained about the Sweet Water's scent. I think that it is refreshing and clean smelling and I really like it. Overall, I like Method. I'm not sure if they are worth all the hype they get, but their products are generally simple and reliable. The Method Sweet Water Hand Soap is overpriced in my opinion. You can get a soap with more liquid and similar quality for less at other specialty soap stores. I like the simplicity of the soap, it doesn't appear to be loaded with chemicals, and the ingredient list isn't as lengthy as most handsoaps with chemicals and dyes that you can't pronounce. It leaves a nice scrent, but the scent doesn't linger long, you're left 10 minutes later questioning whether you washed your hand. The biggest downside is it has no anti bacterial properties. I am a nurse and when I get home for the day, I want to thoroughly scrub my hands and get off whatever bacteria and germs lingered on my hands after leaving work. Not only for me, but to prevent the spread of germs to my family. Most people aren't aware that all soaps don't carry antibacterial properties, but it essential for my lifestyle. Its better knowing that a product is natural, or mostly natural when you use it, especially with all the controversy around ingredients being used. This one works well, and the scent is great. There's different scents as well besides the Sweet Water one. The soap doesn't get overly foamy either, as the foam is usually made by an unnecessary chemical anyway just for looks. Effectiveness Works very well, no need to buy one with a ton of chemicals in it. This one may have a few, but only a few is better than a whole list of chemicals with words you can't even pronounce. It'll make your hands feel a bit softer, but not too much in that way. Definitely provides a nice clean, as I've used it after touching newspaper and it gets the dirt off well. Scent I love it, this one is great, though my favorite is the pink one that smells like bubblegum a little bit. None of the Method soaps are too strong with their scent either (though I haven't tried them all yet), its just right. As a person who likes to use soaps that do not contain chemicals, this is one of my favorites. It has a very light scent and I don't have to worry about harsh chemicals for my family. I really like the size of the bottle as well. It's functional design makes it easy to use for all ages. You only really need to use a little soap, so it lasts a long time. The company is also environmentally friendly, so the bottles are made from recycled materials. Effectiveness Very effective. It is not overly thick either like some brands of soap. It washes off easily, unlike some soaps that foam up and feel as though they take forever to wash off. My hands feel very clean after I use it too. Scent The scent is very light. It is not overbearing like some scents and brands. It isn't my favorite scent, as I prefer peppermint or unscented; however, it is light and refreshing that it doesn't bother me too much. It could be improved, but since the soap itself doesn't have chemicals, it doesn't bother me. Method Sweet Water Hand Wash is a good soap and it has a very nice scent. This is kind of a "no frills" product. But frills aren't always necessary to make something a good product. What do you really need for a hand soap? You need it to be able to wash your hands and it's nice if it has a nice smell. And that pretty much sums up Method hand wash. It isn't an anti-bacterial soap. It just WASHES. If you need or want a soap that is anti-bacterial, look for something else. Another thing I look for in a good hand soap is a soap that does not dry out my hands. I wash my hands several times a day. And some soaps tend to make my skin dry. When I wash with Method hand wash, I only use a "dab". And after using it my hands are not dry. The scent is quite nice. It is very subtle and soft -- not overpowering. I'm not sure exactly what "sweet water" is supposed to smell like, but this has a soft scent that isn't flowery or fruity. It is similar (but not exactly like) the smell of baby powder. The soap is a pretty good value, and they do sell it in large volumes as a refill for the pump container. Overall, it's a good soap, a good value and has a nice scent. I'll rate it an 8.